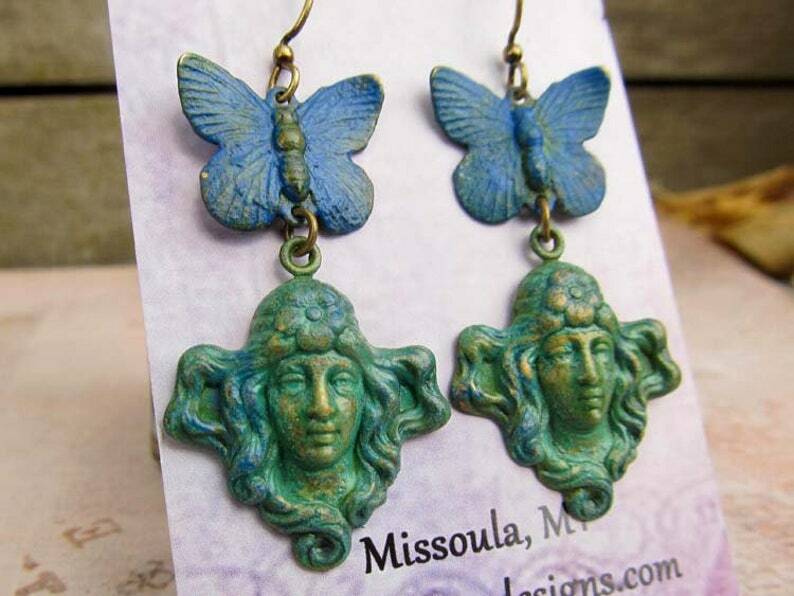 Butterflies and Art Nouveau female face dance about on these patina earrings. I gave brass butterfly charms a blue patina finish. 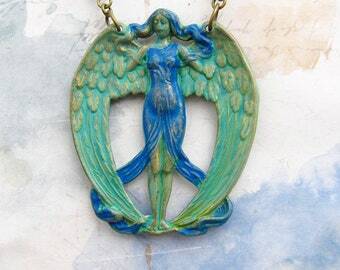 One the Art Nouveau female face charms I gave them a Patina Verdigris finish with touches of blue patina. Very light and easy to wear! Nickle free antiqued brass ear wires.